There are so many weird and wonderful uses for baking soda - or bicarbonate of soda as the English call it - from cleaning your bathroom to getting rid of weeds in your garden. We've got a whopping great list to inspire you, as well as investigating exactly what is baking soda, and how is it different to bicarbonate of soda or baking powder? What are the best uses for bicarbonate of soda? Find out how to do all this and more below! What's the difference between baking soda, bicarbonate of soda and baking powder? Baking soda and bicarbonate of soda are the same thing, just with different names. Baking soda tends to be the American name, while in the UK and in Australia we tend to call it bicarbonate of soda. Meanwhile baking powder, although also used to make cakes rise, is used slightly differently. Aka baking soda, is a leavening agent used in baking and needs to be mixed with liquid and an acidic ingredient (eg honey, chocolate, lemon, buttermilk) to react and make cakes rise. Baking powder is also a leavening agent but comes pre-mixed with the acidic ingredient (often cream of tartar) so all you need to add is a liquid to make your cake rise. It has quite a neutral taste. 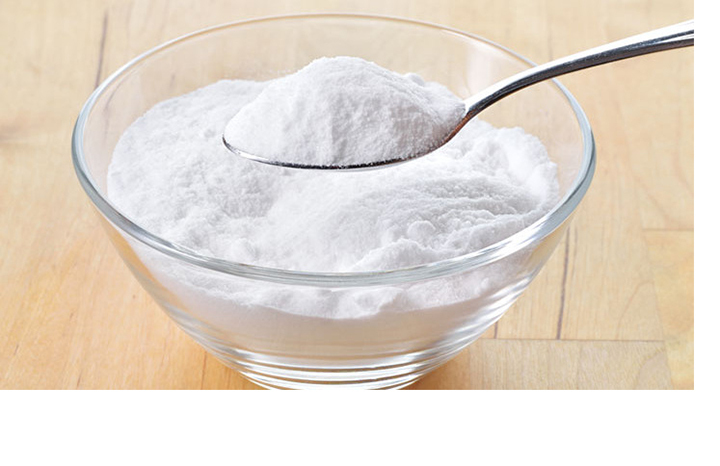 Make your own baking powder by mixing one part bicarbonate of soda or baking soda with two parts cream of tartar. Whatever you want to call it, try these easy cleaning tips and put baking soda to work in every room of your house! Put some bicarb on a damp sponge, scrub your produce and rinse. Soak hairbrushes and combs in a mixture of 1 teaspoon of bicarb and a small amount of warm water. Rinse and dry. Keep your bbq grill clean all summer long by putting some baking soda on a damp brush, scrubbing the grate, then rinsing. Freshen up rugs by sprinkling bicarbonate of soda on carpet, wait at least 15 minutes (preferably overnight), then hoover. Add 1 small cup of bicarbonate of soda to a load of laundry (along with your regular liquid detergent) to get clothes cleaner and brighter. To brighten a dull floor finish, dissolve 100g bicarb in a bucket of warm water. Mop and rinse for a shiny floor. Make your own bathroom scrub by mixing 50g bicarbonate of soda with 1 tablespoon liquid detergent. Add vinegar to give it a thick, creamy texture. Add 100g bicarbonate soda to your bath for an at-home spa treatment. To shine tarnished silver, combine three parts bicarb with one part water. Rub onto silver with a clean cloth or sponge. Rinse thoroughly and dry. Sprinkle bicarbonate of soda in the cat box, then add litter on top to keep smells to a minimum. To clean a toilet add 50g (2oz) bicarbonate of soda to the bowl, swirl, then scrub. Discourage weeds by sprinkling bicarb into the cracks on your driveway and walkways. Soak toothbrushes in a mixture of 50g (2oz) bicarb and 50ml(1/4 pint) water; let brushes stand overnight for a thorough cleaning. Make your own an antacid by mixing ½ teaspoon of bicarb with 50 ml (1/4 pint) of water. For instant relief from bug bites and sunburn mix bicarbonate of soda with a little water and apply it directly to the sore. Bicarbonate of soda on a clean damp sponge cleans gently inside and outside the microwave and never leaves a harsh chemical smell. Rinse well with water. Make a fluffier omelette by adding ½ teaspoon bicarbonate of soda for every three eggs. Gargle with bicarb to freshen your breath and keep your teeth healthy. Lay off the shampoo for a few weeks and massage your wet scalp with a handful of baking soda instead. Scatter bicarb on icy paths and driveways, it’s not as corrosive as salt. Add 50g (2oz) of bicarbonate of soda to your bath to neutralise acids on the skin and help wash away oil and perspiration, it also makes your skin feel very soft. Pour in 100g (4oz) bicarb followed by 100ml (4 fl oz) hot vinegar to quickly unclog the kitchen drain. Sprinkle bicarb on the bottom of your bin to keep stinky smells at bay. Mix bicarb, strawberries and lemon juice together for a natural whitening agent. Combine the ingredients and use to brush your teeth. Leaving nail polish on too long can leave nails looking yellow. Get rid of stains by mixing bicarb and a very small amount of peroxide and scrubbing it on your nails. Wipe a damp cloth sprinkled with bicarbonate of soda onto your windshield to repel rain. Avoid spot breakouts by making your own facemask. Mix 1 tablespoon of bicarb with 1 tablespoon of water. Splash your face with warm water then apply the mask liberally. Once dry gently wipe of wth a war, wet flannel. Help soothe the itchiness and irritation of chickenpox. Stir 1 half tablespoon of baking soda in a glass of water. Use a soft washcloth to put the solution on the affected parts of the body and allow to dry. There are lots of natural ways to soothe a sore throat, and gargling with baking soda in water is one of them. If storing too many packed lunches, pasta sauces or curries has left your plastic food boxes looking discoloured and grimy - once again, it's bicarbonate of soda to the rescue! Sprinkle a clean sponge with baking soda and give them a bit of elbow grease. From worktops to the fridge, the sink and even your cooking utensils, you can clean the whole kitchen naturally with a mixture of bicarb and warm water. If your cleaning sponges are a bit sad or smelly, leave them to soak in warm water and bicarb, and give them a good rinse through in the morning. If your dog or cat bed is a bit smelly, sprinkle it with bicarb, let it sit for 15 minutes, then vacuum it up.